The SiloTrack™ Cloud Inventory Management System from Monitor Technologies is used for monitoring current vessel levels, receive notifications, access/create reports at any location using an internet connection. It allows user to manage one silo or multiple locations with storage vessels. The application enables user to optimize transportation costs, access data history and create customizable reports. It is suitable for Remote Managed Inventory/ Vendor Managed Inventory (RMI / VMI) solutions. 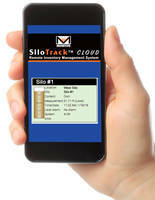 Monitor Technologies is proud to announce the new SiloTrack™ Cloud remote inventory management system. A web-based application that allows users to monitor current vessel levels, receive notifications, access/create reports and more at any location, any time using any device with an Internet connection. 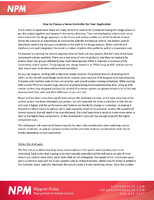 Manage one silo or multiple locations with storage vessels. Securely view distance, level, volume, weight, percentage and ullages (empty space) for silos. 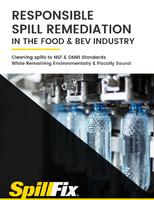 It truly provides an intuitive, flexible and powerful interface for Monitor’s continuous level sensors to provide current data and optimize inventory management of stored materials. For example, combine SiloTrack Cloud with the RadarRight™ non-contact level sensor for the ultimate inventory management system in fast-paced, dynamic storage applications like field corn receiver bins. SiloTrack Clouds allows users to optimize frequency of deliveries & transportation costs, as well, access data history and create customizable reports to share information across functional departments. Ideal for Remote Managed Inventory / Vendor Managed Inventory (RMI / VMI) solutions. Monitor Technologies LLC is a dependable manufacturer of silo level measurement instrumentation, solids flow monitors, inline moisture measurement sensors, particle emission monitors and aeration devices for the worldwide powder and bulk solids markets. The experience and market knowledge gained over 60 years of business has earned Monitor a reputation for providing high quality and reliable product solutions backed by trusted customer support. Monitor is located in Elburn, Illinois. For more information please refer to www.monitortech.com or contact Mr. Chris Otte of Monitor Technologies at 1-800-766-6486 (630-365-9403). Dust Monitors feature die-cast aluminum housing. 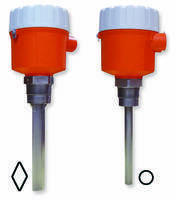 DuraVibe™ Vibratory Level Sensors feature single-probe design. RadarRight Level Sensor uses microwave pulse technology. Moisture Sensor measures moisture inside material core. 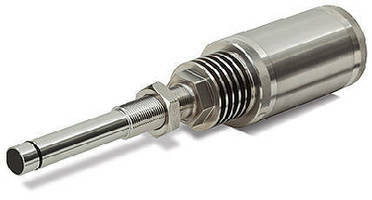 In-Line Mass Flow Sensor offers 1-3% accuracy.